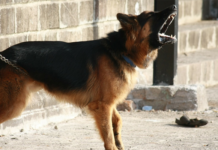 Humans & Dogs – Who’s at Risk? Worms are not something you want your dog to get, but with the busy lives of many dog owners, it is not unusual that you start asking yourself if it is necessary to deworm your dog? If there are no obvious signs of worms, why would you waste money and time on preventive worm medication? And even if the dog has worms, if he seems fine, what’s the harm in leaving things as they are? These are all valid questions, but deworming is important for numerous health reasons, and not something you should take lightly on. Preventive deworming can help prevent worm outbreaks both in your household, but also among dogs that your pups play with or meet regularly. Deworming your dog is your responsibility as a dog owner, and there are multiple reasons for why deworming matters. When your dog starts displaying symptoms like runny stool, diarrhea, unexplained weight loss, a pot-bellied appearance or persistent coughing, it is time to book a trip to the vet to see if your fur baby might have worms. It is not pleasant, and far from ideal, but the good news is that it is almost always treatable, and especially if you catch it on time. Knowing how to spot signs of worms is something every responsible dog owner should learn because let’s face it – a dog can’t tell you how they are feeling, or if something isn’t quite right. Some signs of a worm infestation are straight forward; like when you can spot the nasty crawlers in your pup’s stool, or when they come up with vomit. Both are highly unpleasant, but it is always better to know than to remain in the dark since some worms can cause discomfort for your pet, but also long-lasting and even irreversible damage. Other signs could be so subtle that you barely notice them; like your dog having less energy than usual or losing weight. 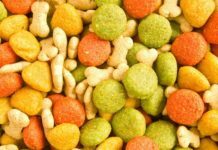 If you have not made any changes to your pup’s diet and if his or her energy level remains the same – weight loss should be a red flag that something is potentially wrong. Many dog owners believe that if they regularly deworm their pets, there is no way that they could end up with worms, and they might, therefore, ignore signs and symptoms which the owner of an unprotected dog may pick up on. Regular preventive care, however, does not give your dog complete protection from getting infected; it makes it less likely for worms to survive to adult age, yes, but it is not a guarantee. To fully understand why it is so important to deworm a dog, we need to have a look at some of the damage worms can do. 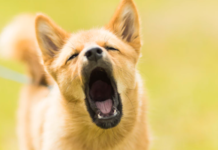 The worst part isn’t how they make your dog feel queasy, how they may provoke stomach aches and gastronomical upset, or how they can give your pup persistent diarrhea because even though these symptoms are unpleasant, they are not life-threatening. The issue lies in the permanent damage that untreated worms can come to cause. In puppies, worms and especially hookworm can cause serious issues and even death. 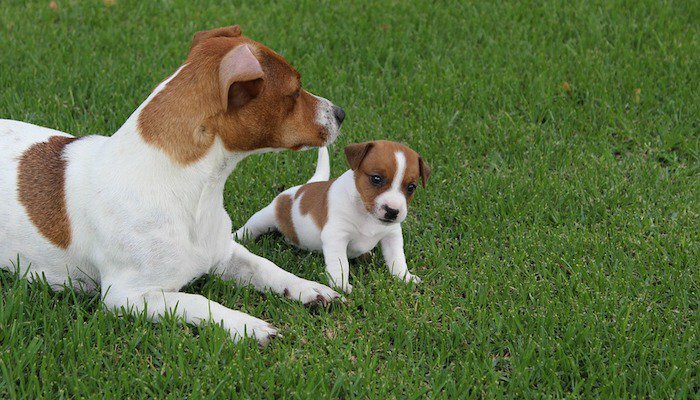 Puppies with worms usually have their mother to “blame,” as they can get infected through their mother’s milk. If they are not properly dewormed (for the first time at 21 days to 30 days of age) the roundworms could cause anemia, slowed-down growth and development, and in the worst-case scenario – death. Sudden death in puppies is often due to an untreated worm infestation. Adult dogs suffer less of a risk of a worm infestation becoming fatal, but nobody wants to see their fur baby lose weight, for their fur to go dull and dry and for their usually such playful self to turn into a fatigued animal who prefers a nap over playtime. Dogs also have heartworm to worry about; a parasite spread by mosquitos, which is difficult to get rid of once the worm reaches its adult stage – a stage which could cause acute heart failure. Looking at it this way, it is not hard to see why it is important to worm a dog regularly, or when you suspect worms, depending on what your veterinarian recommends. We all want what is best for our dogs, and a worm-free dog is a happy dog. All dogs are at the risk of getting worms; both puppies and adults, and even dogs that receive preventive deworming can be infected with the parasite. Some worms could also pass to humans, and while it is unlikely in most cases, you will be doing yourself and your family a favor by keeping your pup’s free from worms and other intestinal parasites. To prevent is always better than to have to act once the problem is already evident, so talk to your veterinarian to see if your pup could benefit from preventive worm medication and try to stay vigilant for signs of worms. Dogs bring so much joy to their families, and it is not too much to ask for them to care for the way that they deserve. 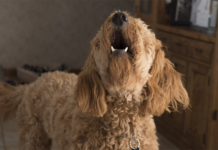 The health of your own dog is the obvious reason for why you want to make sure to worm your dog when required, but you should also take other people’s dogs into consideration. It is not fair for people to spend time and money on deworming their pets, only for you to decide that you have better things to do, and through that expose their pets to a potential infestation by letting them hang out with your pups. 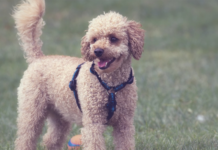 A worm problem is bigger than just your own dog, and it is important to take responsibility as a dog owner and make sure your pup does not become the one that gives worms to all the dogs at the dog park. Deworm for your own pup, for your family, and for other dogs that you might meet on walks and during park playtime. 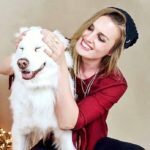 Previous articleHow Often Should You Deworm a Dog?